The Tufts University Presidential Awards for Citizenship and Public Service honor exceptional graduating students from all undergraduate and graduate programs who have exhibited civic leadership and participated in outstanding community service during their time at Tufts. 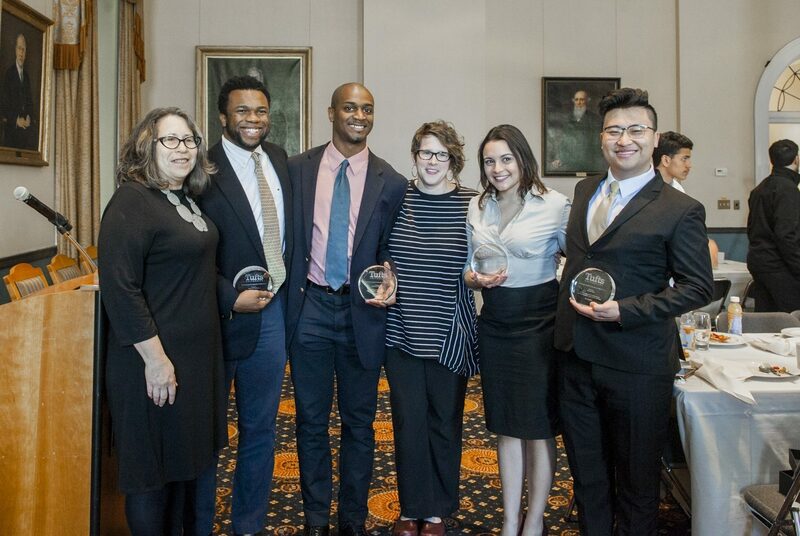 In partnership with Tisch College, the Presidential Awards support the University’s commitment to civic engagement by recognizing outstanding student accomplishments and celebrating the diverse ways to improve civic life. We were honored to present the following students with the 2016 Presidential Awards at a ceremony on April 21, 2016. You can watch video of each student receiving his award.